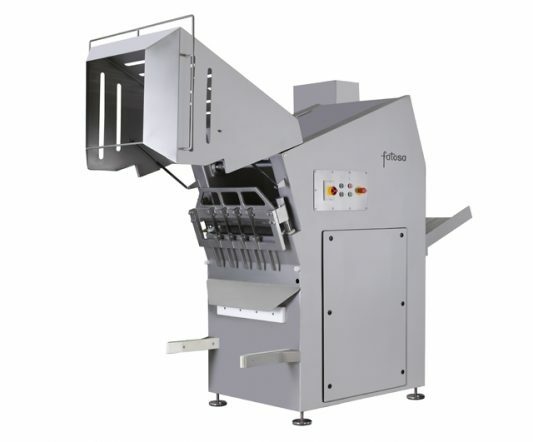 Fatosa design and manufacture all their machines in accordance with European (CE) hygiene and safety standards. 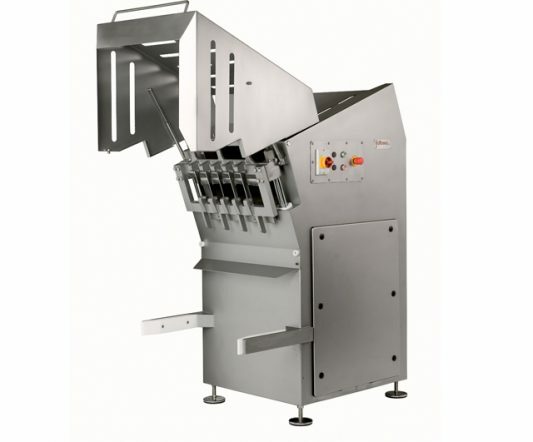 The Fatosa CBC Frozen Block Flaker cuts down frozen blocks of meat at temperatures as low as -20°C. As a result, these smaller pieces are more suitable for subsequent processing in the bowl cutter or mincer. 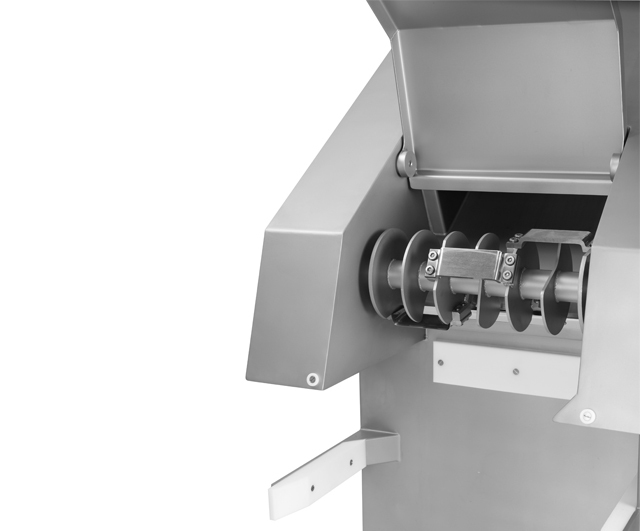 The CBC LP cuts the frozen block by means of a rotating 10-blade roller. 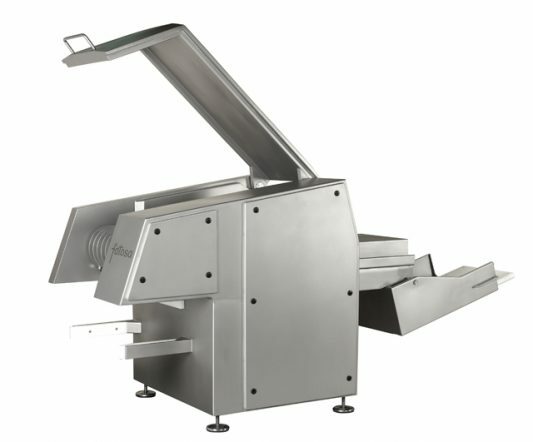 This produces pieces of irregular shapes and sizes of between 5 and 50 grams, depending on the type and temperature of the meat. Block loading is carried out by an incorporated loader with a capacity of 100 kg, and then the cut product is unloaded directly onto standard 200 L trolleys. Constructed entirely from stainless steel. Simple lines and smooth surfaces to facilitate cleaning. Emergency stop and press-button controls with IP66 protection. Motors protected against heat and over-intense operation, with an operating voltage of 24 V.